Film to video transfers as recommended by Kodak - standard 8, super 8, 9.5mm, 16mm & 35mm. Minimum charge �. 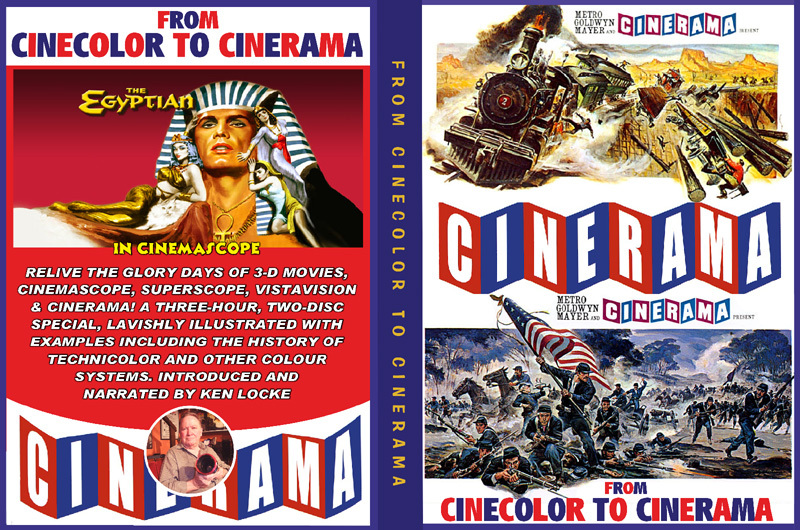 Specialist DVD's/Blu-Ray's for the film enthusiast. 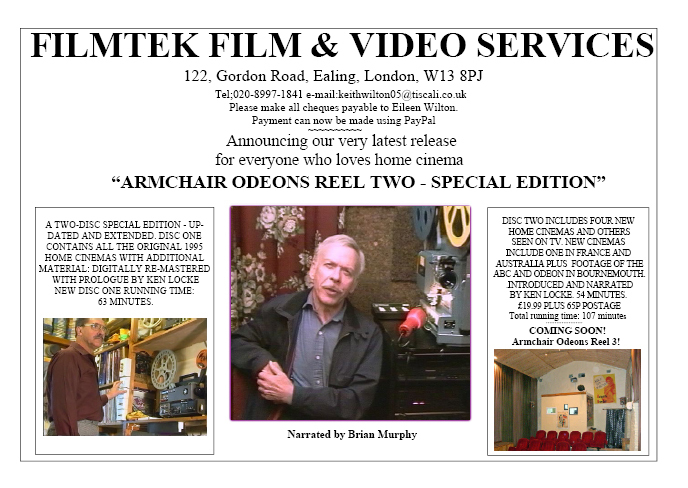 See further details of these below and on Filmtek Page 2. 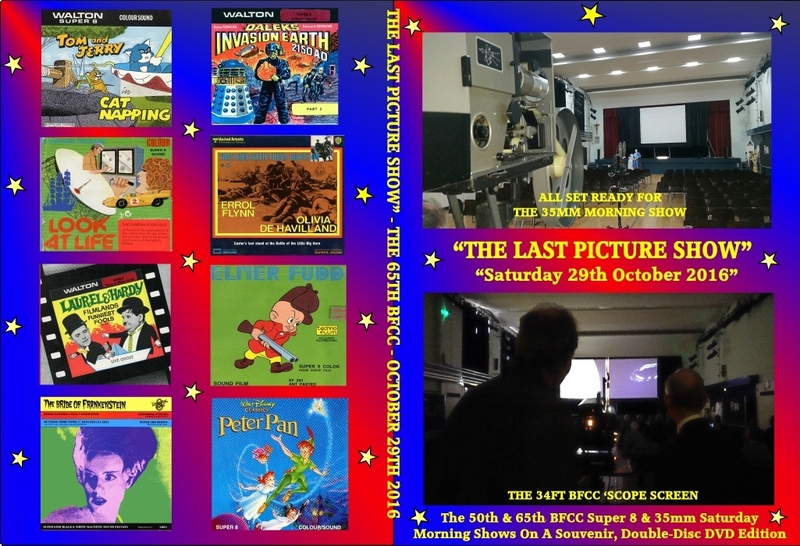 The Super 8 Saturday Morning Show from the last BFCC - the 65th on 29th October 2016 - transferred using the latest Filmtek HD film transfer equipment and available now on Blu-Ray and DVD. Two of the 65th 35mm shows are also included along with the highly acclaimed Saturday Morning Show from the celebratory 50th BFCC way back in October 2005. 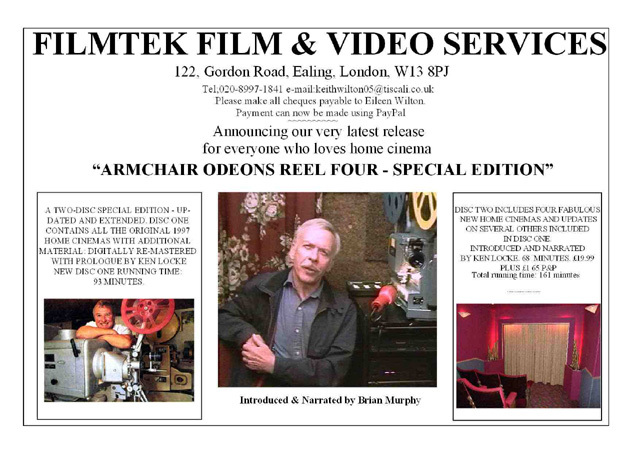 This is a production the avid film collector will not want to miss. 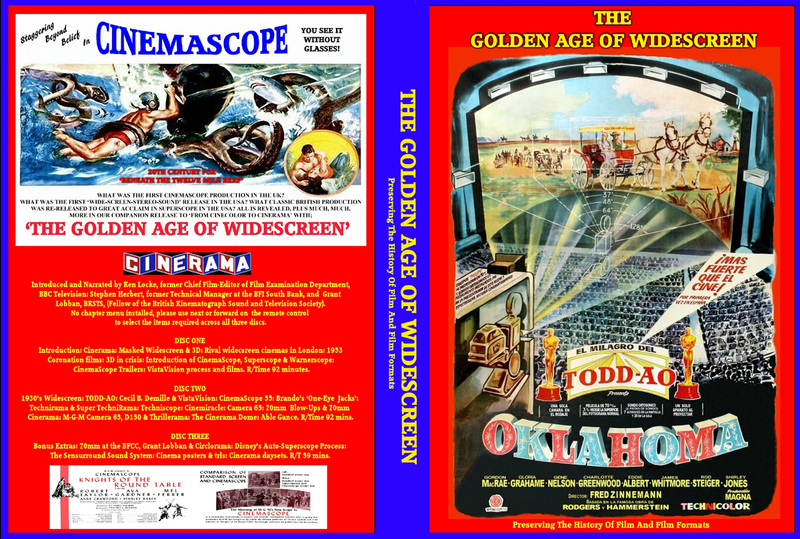 "THE GOLDEN AGE OF WIDESCREEN"
ORDER VIA THE FILMTEK SHOP HERE. 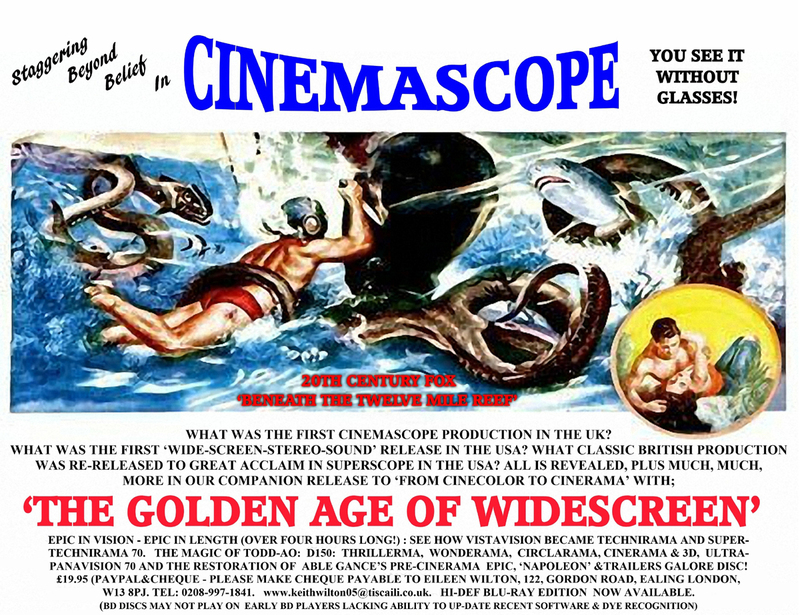 The history of all those fabulous widescreen processes including Cinerama. 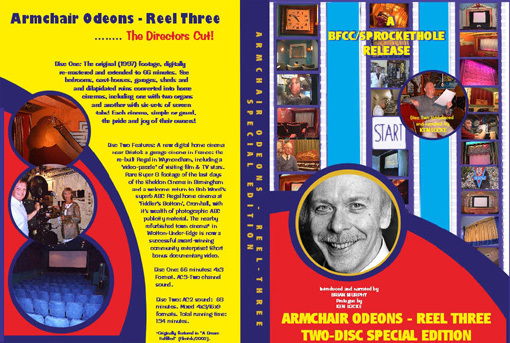 A three disc-set release. Totally compulsive viewing! 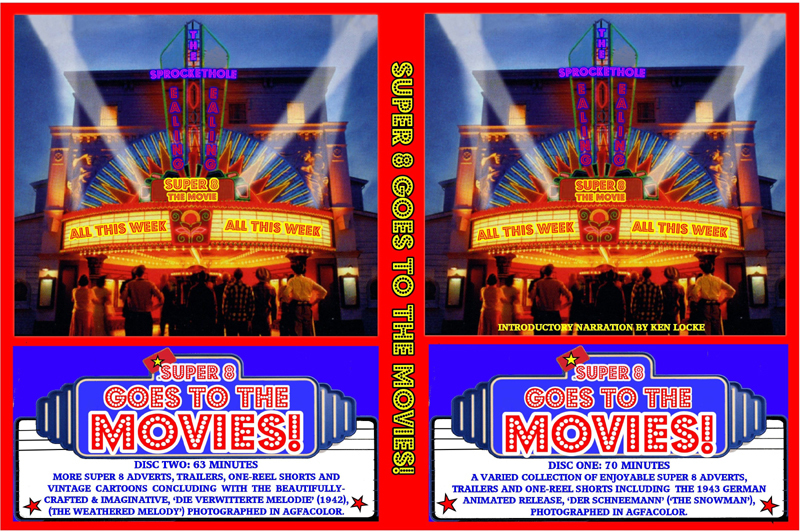 "SUPER 8 GOES TO THE MOVIES"
BOTH RELEASES IN THIS SERIES ARE ENTERTAINING TWO-DISC DVD SETS WITH WELL OVER TWO-HOURS RUNNING TIME FILLED WITH SUPER 8 TRAILERS, ADVERTS, CARTOONS AND ONE- REEL SHORTS. THEY EVEN COME COMPLETE WITH 慏IGITAL PROJECTOR� INTRODUCTION NARRATED BY KEN LOCKE - YOU JUST SUPPLY THE SEATS AND POPCORN, WE扸E DONE THE REST! 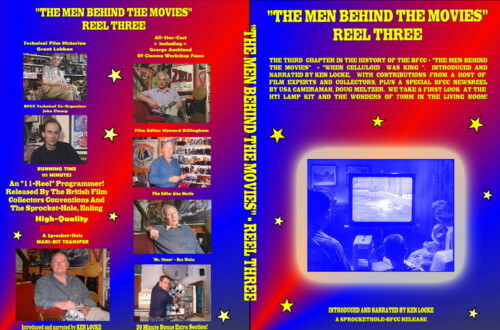 PART 2, DISC 2 INCLUDES MATERIAL SOURCED ON 16mm AND 35mm. � INCLUDING UK POSTAGE (�to the rest of the world) USING OUR ONLINE SHOP OR CHEQUE (CHEQUES MADE PAYABLE TO EILEEN WILTON, 122 GORDON ROAD, EALING, LONDON, W13 8PJ). 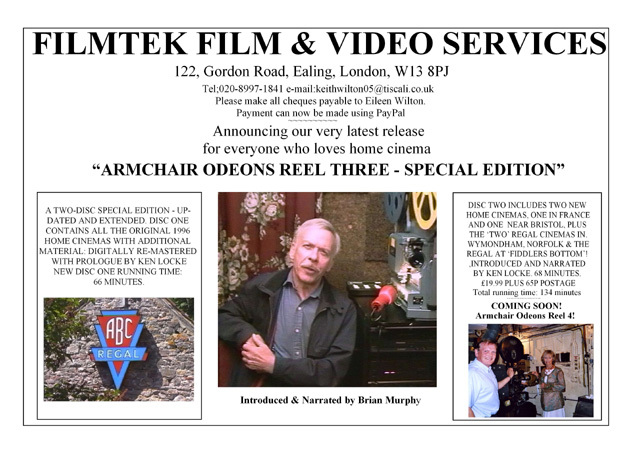 FOR THE BLU-RAY VERSION PLEASE EMAIL KEITH WILTON TO ARRANGE. 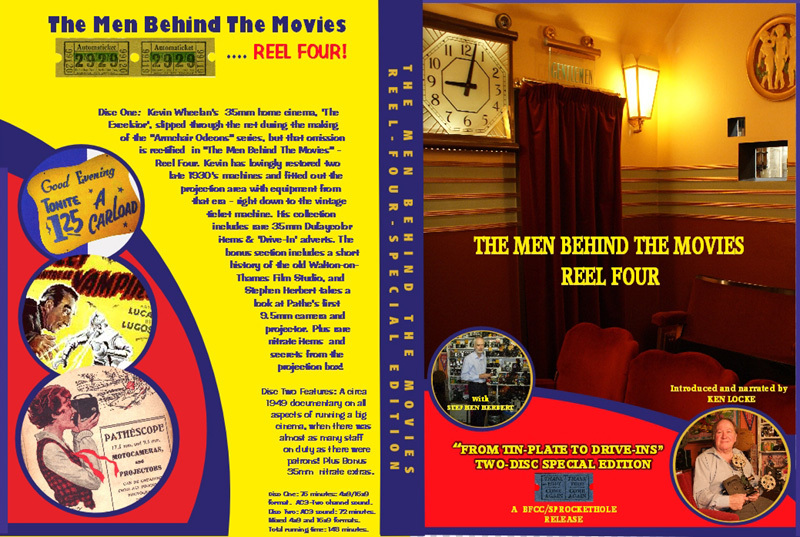 BLU-RAY IS JUST � WITH FREE POSTAGE TO THE UK AND �OVERSEAS. 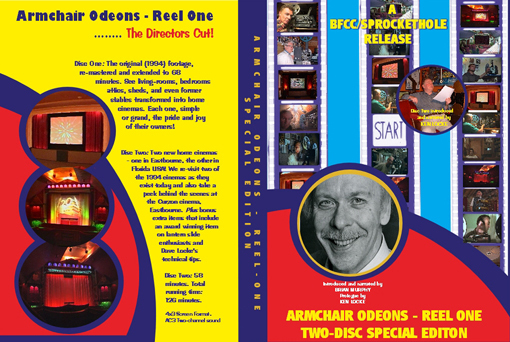 Disc One: The original 1994 footage, re-mastered and extended to 68 minutes. 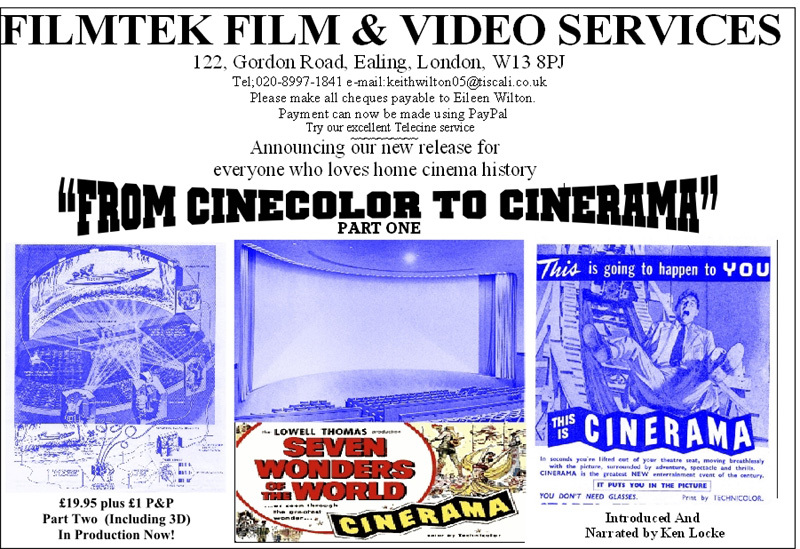 Relive the world of home cinema - a world that existed long before the advent of DVD. See living rooms, bedrooms, attics, sheds, and even former stables transformed into home viewing rooms. Each one, simple or grand, the pride and joy of their owners! 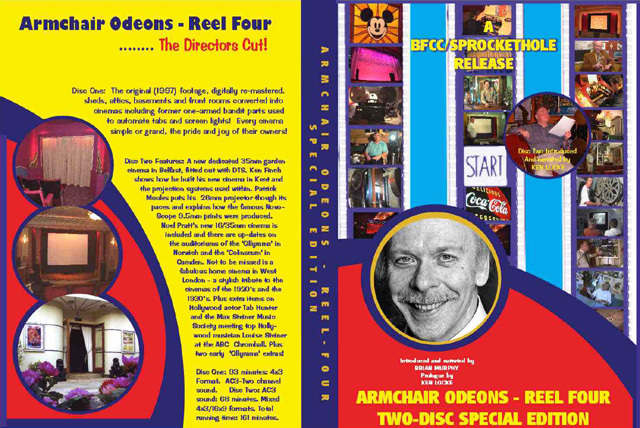 Disc Two: Two new home cinemas - one in Eastbourne, the other in Florida USA. We re-visit two of the 1994 cinemas as they exist today and also take a peek behind the scenes at the Curzon cinema Eastbourne. Plus bonus extra items that include an award winning item on lantern slide enthusiasts and Dave Locke's technical tips. Disc Two: 58 minutes. Total running time: 126 minutes. �.99 + 75p towards post and packaging. 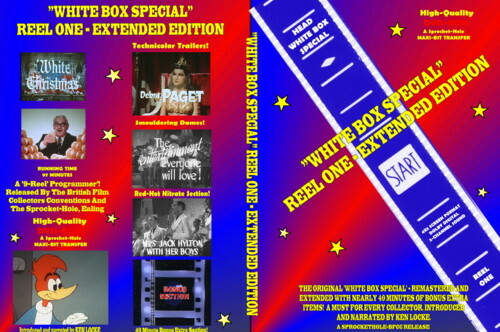 Remastered and extended first reel in the 'White Box Special' series. Bonus footage of approximately 40 minutes. 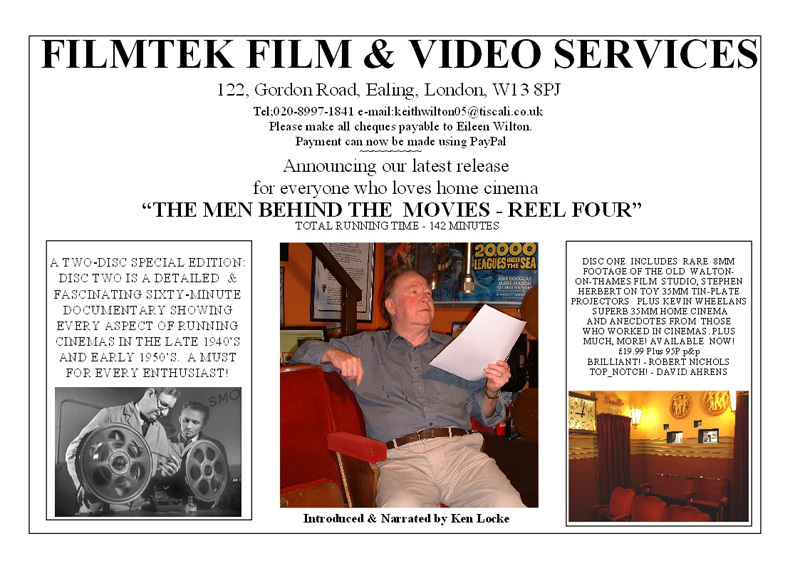 Programme introduced by Ken Locke.